Here are some organizations that are thinking of sending volunteers to Japan in the future for the rebuilding effort. Most organizations are not sending volunteers yet as it is still extremely dangerous, and citizens outside of Japan are still encouraged to refrain from entering the emergency zone. Christian Relief, Assistance, Support and Hope (CRASH) is a network supporting Christians to do relief work in Japan and around the world. They have a page where they are updating on all of the aid they are currently providing in Japan. Most recently, one of their planned six bases in Meysen Academy (in Sendai city) has been promised two 40-foot containers full of rice and soy, donated from Feed the Hungry. 93 tons of emergency relief supplies are on their way from Yokota Air Base from Samaritan’s Purse. If you are interested in volunteering with them in Japan, you can sign up to receive more information about it here. Marc Shows the Tsunami Destruction from Several Perspectives from All Hands Volunteers on Vimeo. They are also planning to send volunteers to Japan in the future; sign up here or follow them on twitter @AllHands to get more information. Civic Force Japan is a nonprofit organization in Japan that was established after the Niigata Earthquake in 2004, aiming to provide swift and effective services in case of large-scale crises in Japan through emergency response teams and ensuring communication among partners to mobilize volunteers, funds, and goods. They make sure that the smaller, more obscure locations are not ignored, bringing supplies and services to victims directly if the other organizations could not get around to those locations. They have partnered up with many organizations to provide supplies to 20,000+ victims in 142 locations, including fuel, 510 stoves, 3000 cans of Japanese grilled chicken, enough Snickers to fill a 4-ton truck, 2000 cups of hot coffee, and 20 tons of rice. The Japan Universal Design Coordinator Organization (site in Japanese) set up a special relief team based around Tokyo that is currently sending much needed equipment to the isolated, affected areas that are often overlooked by larger organizations or the government. Using facebook to reach out to many individuals, they have volunteers sorting out the emergency relief supplies that have been shipped to them, including food, drinks, gloves, waterless shampoo, socks and underwear. Using their helicopter and trucks, they have been able to reach out to the smaller communities, including one where there was only one can of milk formula for all of the mothers in the community. No pictures yet, as they will update once Japan transitions from a “life-sustaining” phase to a “rebuilding” phase. You can donate to them via paypal here. KnK (Kokkyou naki Kodomotachi) or Children without Borders is an organization devoted to supporting disadvantaged children in Asia and raising awareness about their situation, especially in Japan. They have acquired a car to transport various supplies to Ibaraki and Fukushima prefectures, and the first delivery of blankets, diapers, and baby formula (donated from citizens in Tokyo and All Nippon Airways) was made on the 19th to North Ibaraki. They are also planning to send 2 vehicles to Iwate Prefecture on March 26th to provide blankets, diapers, underwear, and other requested items. They have also started a message project from people all over the world to encourage and comfort the victims, especially the children. You can either post a message on their site here or email them at kodomo@knk.or.jp in jpeg format. The first set of messages got delivered to North Ibaraki, where the victims were deeply touched. You can read the messages here. Here are the more specific things that these Japanese NGOs have doing in Japan. You can donate to any of these with a credit card. You can donate to JEN here. Association for Aid and Relief Japan is doing various efforts on-site for those affected. All information below is from their blog. They provided tea, oranges, bananas and some snacks to evacuees taking shelter at Nakano Junior High School in Sendai city on the 15th. 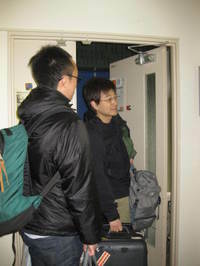 Most recently (on the 22nd), they delivered goods such as diapers for adults and infants, clothes, futon mattress, etc., in addition to water, milk, milk powder, and sweet-bean cake to two small welfare facilities for elderly people in Okawara-town, and the municipal office in Iwanuma City, Miyagi. The contacted facilities will pass on these resources accordingly; one facility is planning to redistribute the goods to approximately 500 survivors living in the neighborhood. You can donate to AAR here. Although there are many international organizations scrambling to collect money for the Japan relief effort, there are many Japanese organizations that are less known here working directly on-site. I’ll do an update on what kind of great things these organizations are doing. Many of them have donation pages open in English now as well. Compiled by SEEDS Asia, an organization that addresses disaster management and environmental conservation within the Asia Pacific region, this is a very brief rundown of what the main NGOs in Japan are doing at the moment. I will try to update more about each of them. – AAR (Association for Aid and Relief): fuel, water, food, hygiene products and emergency relief item distribution in Kesennuma, Sendai, Iwanuma and Ishinomaki city, Yamamoto town, Miyagi Prefecture as well as Oduchi town, Iwate Pref. – ADRA Japan: food and emergency relief item distribution in Sendai, Osaki, Higashi Matsushima city, Miyagi Pref. – AMDA (Association of Medical Doctors of Asia): doctors, nurses, and coordinators, providing medical assistance and distribution of basic supplies in Sendai city and Minamisanriku, Miyagi Pref and Kamaishi city and Oduchi town, Iwate Pref. – CARE: emergency relief items arrived Kamaishi city, Iwate Prefecture. – Child Fund: distributed hygiene products in Minami Soma City, Fukushima Pref. – Civic Force: relief items continue to reach Kesennuma city. Major companies are providing cash/in-kind donations. – FIDR (Foundation for International Development/Relief): distribution of snacks in Kesennuma and Minamisanriku, Miyagi Pref., according to Pref., there are many children taking refuge in Minamisanriku. 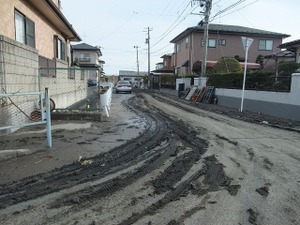 – Good Neighbors: relief and hygiene products distribution in Oduchi town, Iwate Pref. – JEN: food and basic relief items distribution Sendai, Miyagi Pref., accepting listed in-kind donation from public till 24 Mar. – JIFH (Japan International Food for the Hungry): distribution of food and basic supplies in Sendai city and Date city, Fukushima, and Kesennuma, Miyagi. with international aid workers joining its base camp, relief items are also collected from Western part of Japan and its US partner. – JPF: distributing food, water in Sendai city, coordinating JPF member organizations. – JVC: basic medical supply item distribution in Natori city, Miyagi. – KnK: distribution of basic relief item and baby formula in Kita Ibaraki city, Ibaraki Pref. 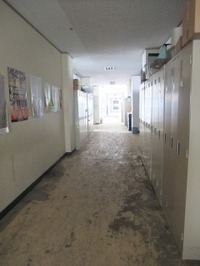 – MSF: providing medical assistance and emergency relief items in Tome/Kesennuma city, Minamisanriku cho, Miyagi Pref. – NICCO: medical assistance (including psychological care), toiletries distribution, portable toilet set-up Natori and Iwanuma city, Miyagi Pref. and site investigation in Rikuzentakata city, Iwate Pref. – Plan Japan: providing psychological care for children at teachers training event, toys and books in Tagajo, Miyagi. – PWJ (Peace Winds Japan): expanded its operation in Ofunato and Rikuzentakada, Iwate Pref., distribution of relief items, free iridium satellite telephone services and mobile phone charging services in Kesennuma, Miyagi Pref. – Rocinantes: providing medical assistance in Natori, Iwanuma city, Miyagi Pref. – Shaplaneer: providing food and relief items in Kita Ibaraki city, Ibaraki Pref. – Shanti: distribution of relief items and food in Kesennuma, Miyagi Pref. – World Vision Japan (WVJ): distribution of water, toiletries in Tome City and Minamisanriku, Miyagi Pref. More organizations that are helping out in Japan now. Save the Children is an organization devoted to providing aid to children who have been displaced by the earthquake/tsunami in Japan. They opened the first child-friendly space in Japan, which are protective environments where children can gather to play and share their experiences under the supervision of their staff. They are collecting donations on their site as well. There are many hands reaching out to Japan now; 128 countries and 33 international organizations have offered their help, whether it is a group of rescue teams, money, gasoline, blankets, rice, water, or rescue dogs. Here are other great non-governmental organizations helping out with the rescue process in Japan. Although they are less in need now, many groups have sent rescue dogs to Japan, contributing to the search for survivors. The National Disaster Search Dog Foundation sent out six search teams (based in California) to Japan the day the earthquake hit. They have returned now, but here’s a video from their site talking about the help they sent out. 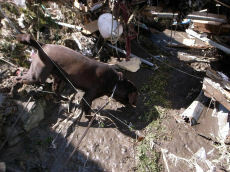 The Disaster Rescue Dog Network (Saigai Kyuujo Dog Network) in Japan sent out 26 people and 23 dogs to various sites in Japan, based around Kesennuma-city, the area hit hardest. They worked through multiple aftershocks and tsunami warnings, and withdrew on the 19th. The Disaster Rescue Dog Association in Japan (NPO Zenkoku Saigai Kyuujoken Kyoukai) also sent a total of 17 people and 11 rescue dogs to Toyama and Niigata prefectures. They have also withdrawn but contributed to the discovery of many missing people. This is incredible. An 80 year old woman and her 16 year old grandson were recently found alive, 9 days after the earthquake. Update: Video below! Shelterbox USA recently shipped out 500 Shelterbox kits to Iwate prefecture in Japan. According to them, they have close to 1,000 ShelterBoxes either in Japan or on their way and another 5,000 ready to move. Additionally, they have a flickr where you can see pictures of the earthquake and relief efforts taking place. Second Harvest Japan is a foodbank in Japan that is now distributing food to the relief shelters all over Japan. You can read their disaster relief report blog here and donate here. ADRA Japan is another international NGO that is providing aid. You can read their blog here (English links on the bottom left page). They have been going to Sendai city to provide food to the people living in the temporary relief shelters. Although the site is operating in Japanese, they have set up instructions in English on how you can donate here. That’s all for now, but there are many more organizations providing aid in Japan that you can contribute to. Make sure to check out current list of organizations soliciting donations in Japan. Peacewinds Japan recently donated 400 stoves to various relief shelters in Kesennuma-shi, an area hit extremely hard by the earthquake. They have also gathered donations from other corporations and are in the process of distributing them to these relief shelters. 510 more stoves were delivered to various shelters in Miyagi and Iwate prefectures, along with fuel for them. 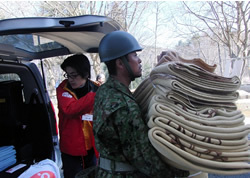 Also, 2300 hot beef bowls were provided to the victims taking refuge at the middle school in Kesennuma city. GreatNonprofits and GuideStar jointly announce the launch of the second annual Women’s Empowerment Campaign, which seeks to identify top-rated organizations working on women’s issues. Partners in the campaign, which will run throughout the month of March, include GuideStar, National Council of Women’s Organizations, Women’s Funding Network, the American Association of University Women, the National Coalition Against Domestic Violence and the National Center for Lesbian Rights. A major goal of the campaign is to raise public awareness about the many excellent nonprofit organizations that work on women’s issues and initiatives. Any nonprofit that gets at least 10 new positive stakeholder reviews by midnight, March 31st will be recognized on the GreatNonprofits Top-Rated Women’s Nonprofits List. Participants in the campaign can expect to receive increased exposure to donors and volunteers and increased visibility in their communities and the media. Research conducted by GreatNonprofits indicates that user reviews are can have a wide array of impacts on nonprofit organizations – from increasing fundraising success to furthering volunteer recruitment and promoting programmatic changes and improvements. The user reviews gathered by GreatNonprofits are written by anyone with personal experience with a nonprofit, i.e., a donor, volunteer, board member, client, or member of the public. Over the past year more than 675,000 people visited GreatNonprofits to read and write these reviews. As of now, there are more than 60,000 reviews of some 8,000 organizations. The Women’s Empowerment Campaign will run throughout the month of March and all reviews will appear on both the GreatNonprofits.org and GuideStar.org websites. Nonprofits with 10 or more positive reviews will be included on the GreatNonprofits Top-Rated Women’s Nonprofits List. Review submissions must take place from March 1st through 31st, 2010. GuideStar is the leading source of philanthropic information on the web. National Council of Women’s Organizations is a nonpartisan, nonprofit coalition that represents over 11 million women across the United States. Our over 200 member organizations collaborate through substantive policy work and grass roots activism to address issues of concern to women. Women’s Funding Network connects and strengthens more than 165 organizations that fund women’s solutions across the globe, making us one of the largest collaborative philanthropic networks in the world. American Association of University Women (AAUW) is a nationwide network of more than 100,000 members and donors, 1,000 branches, and 500 college/university institution partners. For 129 years, AAUW members have examined and taken positions on the fundamental issues of the day — educational, social, economic, and political. National Coalition Against Domestic Violence The Mission of the National Coalition Against Domestic Violence (NCADV) is to organize for collective power by advancing transformative work, thinking and leadership of communities and individuals working to end the violence in our lives. The National Center for Lesbian Rights is a national legal organization committed to advancing the civil and human rights of LGBT people and their families through litigation, public policy advocacy, and public education. NCLR is litigates precedent-setting cases at the trial and appellate court levels; advocates for equitable public policies affecting the LGBT community; provides free legal assistance to LGBT people and their legal advocates; and conducts community education on LGBT legal issues. GreatNonprofits and GuideStar jointly announce the launch of the third annual Green Choice Campaign, which seeks to identify top-rated organizations working on environmental issues. Partners in the campaign, which will run throughout the month of March, include GuideStar, Environmental Volunteers and the Sierra Club. A major goal of the campaign is to raise public awareness about the many excellent nonprofit organizations that work on green, sustainable initiatives around the globe. Any nonprofit that gets at least 10 new positive stakeholder reviews by midnight, March 31st will be recognized on the GreatNonprofits Top-Rated Green Nonprofits List. The user reviews gathered by GreatNonprofits are written by anyone with personal experience with a nonprofit, i.e. a donor, volunteer, board member, client, or member of the public. The Green Choice Campaign will run throughout the month of March and all reviews will appear on both the GreatNonprofits.org and GuideStar.org websites. Nonprofits with 10 or more positive reviews will be included on the GreatNonprofits Top-Rated Green Nonprofits List. Review submissions must take place from March 1st through 31st, 2010. Environmental Volunteers‘ mission is to promote the understanding of, and responsibility for the environment through hands-on science education. The Sierra Club: Since 1892, the Sierra Club has been working to protect communities, wild places, and the planet itself. We are the oldest, largest, and most influential grassroots environmental organization in the United States.